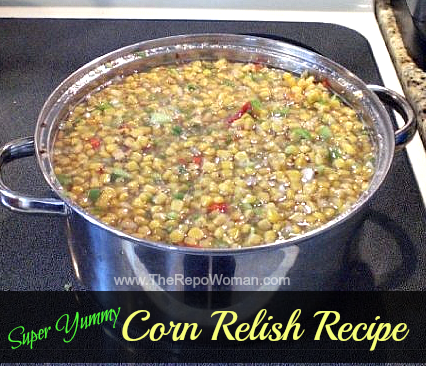 This is one of the best homemade Corn Relish Recipes I have ever tried. It makes enough to share with friends or even give as gifts! It’s addicting too though… Everytime we open a jar it doesn’t last but a day or two! We eat it with almost everything from baked chicken, add it to our hamburgers, or even just with a plain chip is delicious too! In a large sauce pan, mix the corn, juice, tomatoes, green bell peppers, red bell peppers, cucumber and onion. In a separate medium bowl, mix the sugar, apple cider vinegar, salt, celery seed and mustard seed. Pour the mixture into the sauce pan and bring it to a boil. Reduce the heat and let it simmer on low for about 1 hour. 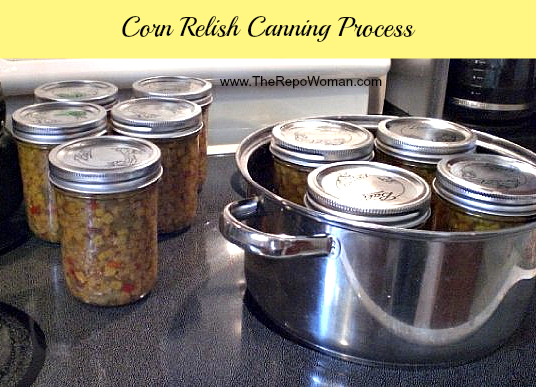 Transfer the relish in to sterile jars for canning. Refrigerate until it’s ready to serve.